Even in retirement he remains the most popular politician to the Muslim "man-and-woman-in-the-street". Now as an elder statesman, Mahathir Mohamed, the former Malaysian prime minister, continues to give advice whether on the global financial crisis, on the future of the Islamic banking industry, on the Islamic gold dinar, on the future of US dollar as an international trading currency, and on his celebrated spat with arch speculator and fund manager, George Soros, in the aftermath of the Asian financial crisis in 1998. In an exclusive interview, Mahathir, albeit a bit more frail now, was his usual outspoken self, and he had a clear and present message for the Islamic banking industry - learn from the mistakes of conventional banking if the industry is to avoid the same fate. There definitely is a future for Islamic finance. It would not be spectacular; it would not be the cause of booms and busts. "It would be steady and would not cause the kind of social and economic upheavals that we are seeing today. Islamic banking and the wealth of the Muslims will cause the rest of the world to link up with Muslim countries. Muslims will feel comfortable doing business without going against the injunctions of Islam provided that the abuses of the Riba banks are avoided there will not be the periodical collapse of the Islamic financial system. We are seeing how the Islamic banks have remained unaffected by the current crisis. Insha'Allah it will remain crisis-free in the future," he added. Mahathir is perhaps one of the better qualified persons to talk about Islamic banking. Not because he is an expert in Islamic finance or Fiqh Al-Muamalat (Islamic law relating to financial transactions). It is because that he is the architect of the Islamic banking system in Malaysia. Not many people today realize that one of the first actions that Mahathir took when he came to office in 1981 was to set up a National Steering Committee to implement Islamic banking in Malaysia. The report of this committee on the viability and strategy of Islamic banking was the impetus for the creation and robust development of the Islamic financial industry in Malaysia. The rest is history. He strongly believes that the Islamic system for economic and financial management has something to offer to the world especially in these dire times of financial crisis, sovereign debt and economic recession. Indeed, he urges countries to resort more to using Islamic finance in the aftermath of the global financial crisis and stressed that the industry is here to stay and definitely has a future in the global financial system. "The Islamic financial system is not just about the proscription of Riba (interest) and Gharar (deception). It has certain codes, for example, if you lend money you have to do so with good intention and not in order to cheat your partner or to exploit him. Uncertainty and speculation in terms of gambling are not allowed in Islam. The Islamic system practically says 'No' to the speculative products of the financial market. Without these products the chances of economies collapsing would be much less," he maintained. He believes that the Islamic financial system has much greater connectivity with the real economy and not the speculative one. But its development and evolution will take time. "When we started Islamic banking in Malaysia, there were very few Islamic banks around the world. We had to build the industry in Malaysia from scratch. Today Islamic banking is spreading everywhere and even the conventional banks have standalone subsidiaries or Islamic banking windows. We decided that instead of confining ourselves to one system, people should have a choice whether they wanted to use the conventional or Islamic banking systems. This has done us a lot of good. It does not disturb the process of doing business that much," he added. 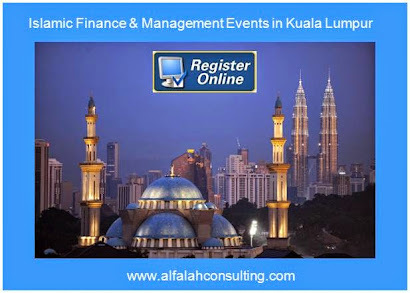 With Malaysia's new 10-year Financial Master Plan (2012-2022) due to be launched later this week by Bank Negara Malaysia, the central bank, the Islamic finance industry is keen to see the provisions pertaining to the industry. The main objective of the 2012 Master Plan is the consolidation of the Islamic finance industry, unlike the previous one which concentrated more on the establishment of the industry and the achievement of certain targets of which the most celebrated one was achieving 20 percent market share for the Islamic banking industry by the year 2010. The new Master Plan avoids setting market share targets for the Islamic finance industry for the next decade. 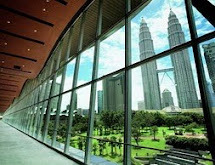 In fact the market share of Islamic banking in Malaysia is currently 22 percent. Mahathir is not coy about wanting to see this market share increasing further "We started with nothing, and the growth to over 20 percent in less than three decades compared with three centuries of conventional banking is very fast indeed. I would perhaps like to see a 50:50 percent market share for both systems operating side-by-side. The Muslim world today is much richer than it has ever been," he advised. And he believes that this aspiration is both achievable and sustainable, provided the Islamic banking industry is properly governed. "There cannot be any playing around with products that are speculative and that are not really tangible. We must do real business. It is something that is doable not only by Malaysia but also some other countries," he added. While it is a vindication of the Islamic banking system that Hong Kong, Singapore, Luxembourg and London all aspire to become centers for Islamic finance and capital markets, he warns that "if we are not careful the big conventional banks might become bigger in Islamic banking than the Islamic banks." As such the challenge for Islamic banks going forward is for them to study the needs of borrowers in greater detail and coming up with fair solutions for them. 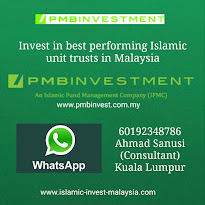 He would you like to see Muslim sovereign wealth funds for instance direct more of their investment portfolios to the Islamic financial sector. But he concedes that would depend on whether the sector can offer products to absorb all this liquidity. But he is confident that over time people in the sector will manage this. "The Islamic world is flush with funds. We have to show that it is worthwhile for them conforming with the injunctions of Islam in terms of financial transactions and investment, without them losing much money." Mahathir is an ardent promoter of the Islamic Dinar concept, which he maintains has been misunderstood. He is advocating the use gold merely to back bilateral trade between Muslim countries and between developing countries as a unit of accounting to be settled between central banks. This as opposed to gold as a means of exchange, which is Riba and uses gold as a commodity, and which is proscribed in Islam. "It is not so much an Islamic dinar but using the most stable of metals, gold, as a backing for currency. We are not talking about the physical movement of gold which would expose us to all kinds of dangers. We can use the value of gold. There are some people who have the wrong perception that the gold dinar could be used like ringgit for the purchase of all goods both in the country and abroad," he added. To him the use of the US dollar as an international currency is over-rated and its days are indeed numbered. 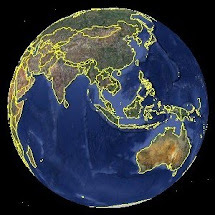 "I have said this a long time ago that East Asia should have its own trading currency. Not like the euro which is used domestically. This would purely be for the settlement of trade," he added. But he knows the staying and pulling power of the greenback. When Mahathir was prime minister, his government pioneered the Bilateral Payments Arrangement (BPA) with countries such as Chile and Iran, to the chagrin of the International Monetary Fund (IMF) which thought it was against the spirit of the free market and financial liberalization. People hailed it as a good and a cost effective bilateral payment settlement system for emerging countries. But the BPA proved to be unsustainable. "Everybody says the BPA is a good system. But governments are loathe to doing away with a system of using US dollars as payment for trade. Of course the US would not like this. If you don't use US dollars, their value will certainly go down. We can use our own currencies or a basket of currencies. If this is backed by gold then there won't be the volatility in the appreciation or depreciation as we have seen in currency exchange rates," maintained Mahathir. He is only half surprised that the world is in this financial meltdown and crisis because people have been writing books predicting that these things would happen. He admits that he did not think that it would happen on the scale that it has happened. 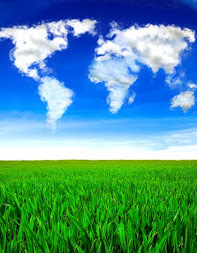 The crisis is a question of abuses in the financial, the banking and the monetary systems. The conventional banking system has served the developed economies very well by financing industry and services thereby enriching themselves through doing real business. However, these economies could not compete any longer with the emerging economies of the East and Latin America in the post-war years. This, he explained, necessitated a switch to the financial markets with the promise of huge capital gains from investments in the share markets of the world. This also spurred on financial innovation in derivative products including collateralized debt obligations (CDOs), short selling, hedge funds and currency speculation, which bore no relation to real economic activities. Capitalism, he added, has given many nations prosperity, but when capitalism is combined with unbridled greed, the result is what we are seeing today. In the Western financial system the abuses are made possible because the system allows unlimited money to be created by the banking system. Loans by the banks have a guaranteed return. There was no risk for the banks, but new ways of guaranteeing returns were invented so that more money could be created and lent by the banks. The greedy played on the greed of people. The idea that the market should regulate itself is wrong. "The market is about making money. It is not interested in regulating. The more money it makes the happier the market. Governments must exercise some degree of control over what is happening in the financial market. At the moment there is no control at all. One day of currency trading can amount to $4 trillion," he advised. He has a message for his immediate successor then Prime Minister Abdullah Badawi and the current incumbent Prime Minister Mohd Najib Abdul Razak.